Construction of the bike/pedestrian underpass in Northampton is moving forward, after a pause during the winter months. 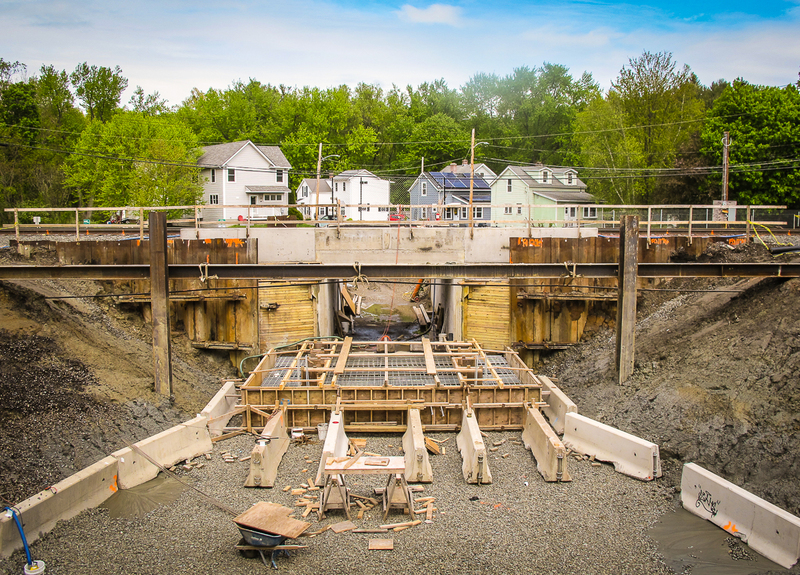 During the past few weeks, MassDOT’s contractors have constructed a new section of rail line above the completed portion of the underpass. 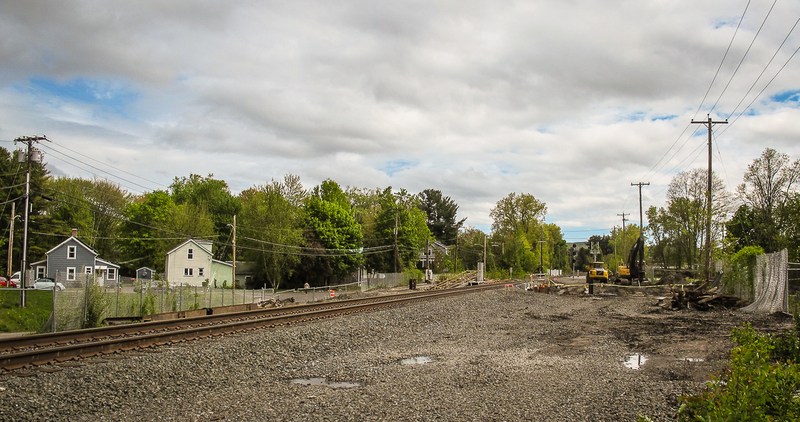 The new section of track was then cut in to the main line and the temporary shoofly track, that had been in place since late 2016, was removed. The prime contractor, Northern Construction Services, has now commenced excavation work on the west side of rail line. A few recent images of the active work site are shown below. The image above shows the area that has recently been excavated on the west side of the active rail line. 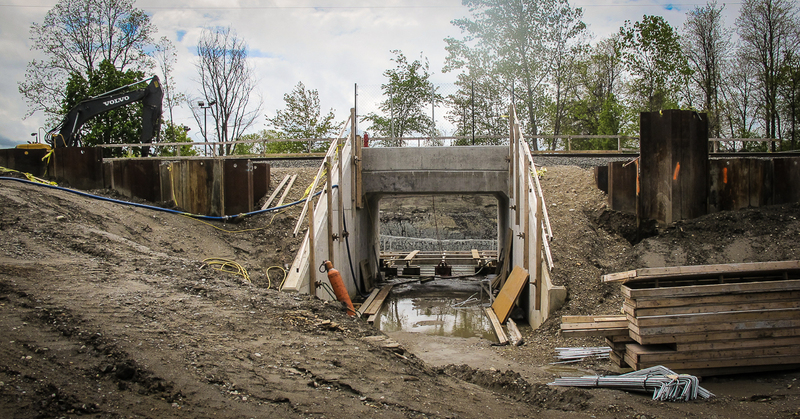 Newly constructed concrete forms (near the entrance to the underpass) can be seen. Note the steel I-beam that runs through the center of the image. Apparently, the sole purpose of this I-beam is to support the fiber optic cable that runs along the railroad right of way. A new page on the website which covers the issue of highway-rail crossing safety in the Pioneer Valley. The On-time Performance & Departure Delay spreadsheet for the Vermonter has now been updated with data through to the end of April 2017. The page has recently been updated. In particular, the page now includes a link to this recent article from The Republican, “Cost up $2.4 million on planned underpass in Springfield’s North End”.